Freebie Heart Card and Holiday Announcement. Just to let you know that I am going away on holiday so have put a notice on my website to the effect that anyone purchasing templates during the next 2 weeks will not receive them until I return home on Thursday 26 February. I have managed to do this freebie card for you before I go. It's another one to decorate with your own embellishments. I made my topper using my Craft Artist program and items from Daisy Trail's Embossing and Parchment digikits. 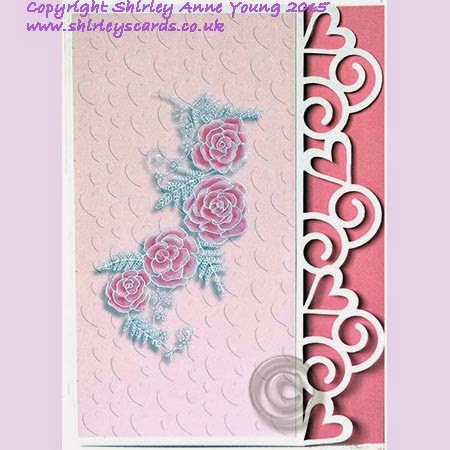 I think the card is quite versatile and could be used for Anniversaries, Weddings and of course Valentine's Day. Hope you can find a use for it.